Unacademy, an Bangalore-based edtech startup providing free online learning platform, has raised US$4.5 million (INR 30 crore) in its Series A round of funding, led by Nexus Venture Partners and existing investor Blume Ventures. Girish Mathrubootham (CEO of Freshdesk) and Ananth Narayanan (CEO of Myntra), along with Stanford Angels, have also participated in the round. With the new round of funding, Unacademy will grow its educator-base from 200 to 2,000 in the next one year, across varied exam preparation, language learning and professional growth topics. A portion of the funds will go into hiring talent and improving user experience. Previously, Unacademy raised US$1 million in fresh funding, led by Blume Ventures, with participation from Stanford Angels India and WaterBridge Ventures. The startup was co-founded in 2015 by Gaurav Munjal, Roman Saini, Hemesh Singh, and Sachin Gupta in 2015. It allows educators to create courses using their app on various subjects, including exclusive content for various competitive exams, which can be accessed by students on Unacademy.com. It also runs an educational YouTube channel, with over 27 million video views and over 375,000 subscribers. It also boasts of 5,000 educational lessons made by over 200 educators. The platform, which aims to get the best minds of the country share their knowledge, has more than 500,000 registered users with over 200,000 active users. “Why should knowledge sharing be only done by Professors of Stanford, Harvard or IITs? With the influx of capital, Unacademy aims to empower more educators who come on the platform to create highly engaging courses that impact millions of students,” he added. The courses on the platform, which currently cater to major competitive examinations, will soon have content from areas such as personal finance, personality development and more. Currently, the platform has more than 6,000 lessons spread over 500 courses. Unacademy expects its active user base to organically grow from 200,000 to 1 million users in 2017. In one year, it has grown 10x and is now doing 5 million video views every month (25 million video views in 2016), the company said in a statement. The edtech venture also plans to launch its Android app by the end of February 2017. 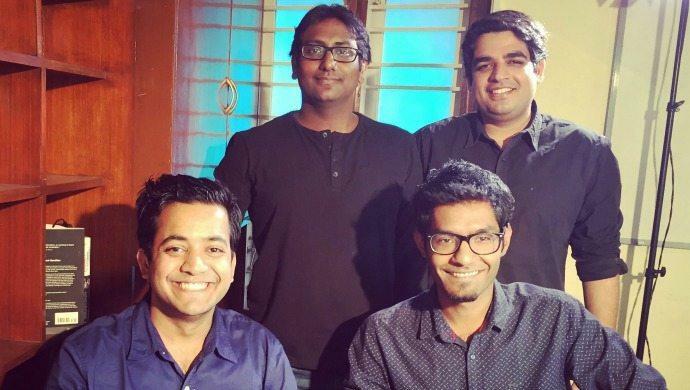 The post Unacademy raises US$4.5M to allow educators to create free online courses in India appeared first on e27.